Author and clinical psychologist, Chris McCurry, Ph.D., provides problem-solving techniques and strategies for helping your child overcome anxiety while recognizing your own. 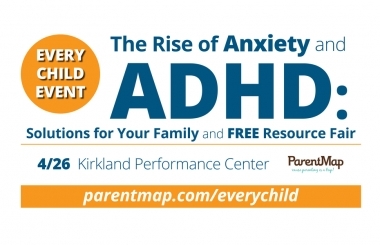 Learn the science of anxiety and ADHD as well as tips and tools for creating a healthy parent-child relationship. Prior to the lecture, join us at our FREE Every Child Resource Fair! Come learn from experts who focus on the many categories of atypical learners. Every Child resource fair runs 5:00-7:00pm | Resource fair is free, rsvp encouraged. $25 pre-sale to lecture, $30 at the door. 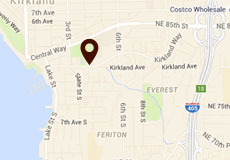 ParentMap is a local parenting media company that aims to be the number-one resource for parents in the Puget Sound. We have a monthly print issue and award-winning website – parentmap.com – we produce about 2 dozen events each year and also publish books.